The PAGE 2019 meeting will be held at the Stockholm Waterfront Congress Centre, Stockholm, Sweden. The PAGE meeting takes place in an informal atmosphere with vivid scientific discussion. PAGE 2019 will be held at the Stockholm Waterfront Congress Centre (2 minutes walk from Stockholm Central train station, 20 minutes by train from Stockholm (Arlanda) airport). The meeting starts with a welcome reception at the Stockholm Waterfront Congress Centre on Tuesday evening 11 June. The scientific programme will start on Wednesday morning 12 June and will end at noon on Friday 14 June. Participants are encouraged to attend all conference days and present their work in the form of an oral presentation or poster. The program and abstracts can be downloaded as a single document prior to the conference. Note that no printed abstracts are available at the conference (in the interest of environmental friendliness) so print them at home or use the special Apps that have been developed for iPhone and Android to view all abstracts off-line on your portable device. All abstracts are also searchable at the PAGE website. The annual Lewis Sheiner Student Session was inaugurated, both to honour the memory of Lewis Sheiner and to highlight his lifetime passion for student education. Students who wish to be considered for this session should submit an extended abstract no later than 1 March 2019. The abstract must be structured with the following subheadings: Objectives / Methods / Results / Conclusion / References. There must be at least 6,000 but not more than 7,000 characters (including spaces) in the abstract text(excluding Title / Authors/ Affiliation and References). The submitted work must have been performed either as part of an MSc or PhD programme and/or will ultimately form part of a PhD thesis. Each year a rotating committee of three members, representative of the PAGE community, will judge who should receive the honour of presenting in the Lewis Sheiner Student Session. If selected, the student will automatically receive a 300€ travel grant. A permanent list of students, with links to their presentation, will be maintained on the web site. As a tribute to Stuart Beal, there is a Stuart Beal Methodology Session. The organising committee will choose presenters from the submitted abstracts. Tutorial on the use of informative priors in model-based drug development. This presentation will deal with how informative priors are elicited from experts, or constructed from historical data, and how such priors are implemented in models to inform different stages of drug development. The tutorial will be given by Dr Nicky Best. Keynote lecture on the use of pharmacometrics in vaccine discovery and development. The presentation will cover a background on vaccine discovery and development, a brief overview of the immune system and examples of pharmacometric applications across decisions impacted and methods used. The lecture will be given by Dr Jeff Sachs. Session with Regulatory news from the European Modelling and Simulation Working Party. A PAGE Student Sponsorship to support travel and accommodation expenses (kindly supported by Certara, ISoP, BAST, Rstudio and Occams), is available to a number of students unable to obtain any other financial support. This will be judged on a case-by-case basis by a selection committee. Please see here to download a form with criteria and details on how to apply. Applications need to be submitted by the time of the abstract deadline (1 March 2019), so make sure you receive confirmation of receipt when sending your application. Registration opened at this website on Monday 14th January at 09:00 (AM) Stockholm time (CET). If you want to be kept informed, then update or create your profile. Registration is only possible at the PAGE website. If you have previously registered at the PAGE website, your personal details (address etc.) are still available. If this is the first time you will attend PAGE, register first at the PAGE website before enrolling for the meeting. Please keep our database up to date by editing your existing profile if required! If you've forgotten your password, a reminder can be requested automatically from the website by e-mail. If you've forgotten your password and changed your e-mail address then please contact Rik Schoemaker (rs@page-meeting.org). Updates of personal details in the website are confirmed automatically by email. Note that if you do not receive a confirmation, you should check that your e-mail address is correctly entered in the designated field. Fees include coffee, tea and lunch on all days, the welcome reception on 11 June and the social event on 13 June. Participant places are limited and allocated on a first come, first serve basis. Registration fees must be paid at the PAGE website by credit card only (Visa, Maestro, MasterCard and American Express) within 14 days after registering at the PAGE website. Failure to meet this deadline will automatically place your registration on the waiting list. Students wishing to qualify for the student registration fee will need to upload, at the time of registration, a scanned copy of a signed letter of support from their supervisor indicating that they will be full time students in an MSc or PhD programme at the time of the PAGE meeting, and a scan of their current student card. If this information (and an abstract if applicable) is not available at the time of the abstract deadline (1 March 2019), non-reduced fees will be charged. No refunds will be given once the registration fee has been paid, not even in the extremely unlikely event that the meeting is cancelled due to force majeure. Substitution of delegates will be accepted at any time. The abstract submission deadline is the same for all abstracts: Lewis Sheiner Student Session abstracts, oral session abstracts, and poster abstracts and there will be no option for late submissions. In practice, this means that any new abstract entered into the system after 8:00 (AM) CET on Saturday morning 2 March 2019, will be manually removed by the system administrator. The reason is that the PAGE organising committee cares about the quality of all abstracts, and that means that sufficient time is required for judging the abstracts. Please follow these instructions carefully regarding format and length of the abstracts or download them in either Word/RTF or Adobe/PDF format. Abstracts that do not comply with these guidelines will not be accepted. When you click "Submit" you will immediately receive an email with your abstract attached. This e-mail will also be sent to the committee responsible for peer review in the selected category. Therefore, only click "Submit" when you have finished editing! The poster boards will accommodate an A0-size portrait poster (118.9 cm high and 84.1 cm wide/46.8 by 33.1 inches). Material for mounting your poster to the boards will be available on-site. The local organisers have provided the possibility of having your poster printed on-site at the cost of SEK 500 per poster (around €49), and which includes VAT. Prepare your poster in A0 portrait layout in pdf format and upload your file here. The deadline for file-submission and payment is 20th May. Slides for the oral session should be provided as PowerPoint or pdf and are recommended to have a layout in the 16:9 widescreen format for projection. No personal laptops are allowed for presenting slides. Software companies, Academic Software Application Developers and Contract Research Organisations are welcome to present their products and services during PAGE. The cost for one commercial table is 1700 euros including dedicated high speed wifi connection. Software that is both non-commercial and open-source can be demonstrated without charge. Those interested in this option, please visit this site for further information and booking. Several events will be held before and after the PAGE meeting. If you are interested in organising such a satellite meeting, please contact the local organising agency Kontur Konferens AB at page2019@konturkonferens.se. Please note that PAGE itself is not involved in organising satellite workshops or booking venues, etc, and satellite meetings cannot be booked through the PAGE web-site. IntiQuan will present a one-day workshop entitled "Population PK/PD modeling in R" on Tuesday, June 11, 2019. In this workshop, the participants will learn how to set up their own PKPD/NLME workflow using IQR Tools to: explore the modeling dataset, perform parameter estimation in supported NLME tools (such as NONMEM, MONOLIX, and NLMIXR), and evaluate parameter estimation results. Furthermore, participants will be able to generate a short report in Microsoft Word directly from the results generated in R. The workshop is designed as a hands-on tutorial, allowing participants to work through an NLME modeling workflow under the guidance of the presenters. All material (slides, example models, R code, required R libraries, and additional software) will be shared with the participants. No prior knowledge of either NONMEM, MONOLIX, or NLMIXR is required. Basic knowledge of ODE and NLME modeling and R is of advantage. The cost will be 500 EUR for industry, 300 EUR for academia/government/non-profit and 200 EUR for students. Click here for details and registration. IntiQuan will present a half-day workshop entitled “QSP modeling in R” on Monday, June 10, 2019. The workshop is designed as a hands-on tutorial. The different topics will be presented on slides and will be illustrated based on a realistic QSP example. For each topic, the participants will have the chance to reproduce the different modeling steps, using a provided example model that is suitable for the workshop. Basic knowledge of writing R scripts is of advantage. The cost will be 250 EUR for industry, 150 EUR for academia/government/non-profit and 100 EUR for students. Click here for details and registration. IntiQuan will present a half-day workshop entitled “Reproducible Pharmacometrics 2.0: Generation of submission-ready Word reports based on open source tools” on Monday, June 10, 2019. The workshop is designed as a hands-on tutorial. Participants will learn how to efficiently generate Microsoft Word reports automatically, including the analysis results (tables, figures, logfiles, etc.) and ensuring traceability. The generated Word reports can comply with any corporate Word style requirement. The cost will be 250 EUR for industry, 150 EUR for academia/government/non-profit and 100 EUR for students. Click here for details and registration. Handling Age-varying covariates during simulation. Modelling of target mediated drug disposition (TMDD) of protein and ADCs including techniques to account for target shedding and binding kineties of bispecific antibodies. Lixoft is running a 1 day hands-on workshop on the Monolix Suite on Tuesday the 11th of June. The course is designed for modelers with none to intermediate knowledge of the MonolixSuite. It will present the full modeling and simulation workflow on concrete examples using the 4 applications of the suite: Datxplore for the data visualization, Mlxplore for the exploration of the model behavior, Monolix for parameter estimation and model diagnosis and Simulx for clinical trial simulations. The course will in particular focus on the modeling strategy, the model implementation and the model diagnosis. Two real case studies will be used, covering a PK and a PKPD example of modeling and simulation. More information and registration here. Lixoft is running a 1 day hands-on workshop on Target Mediated Drug Disposition models with the MonolixSuite on Tuesday the 11th of June. The workshop is intended to pharmacometricians wishing to have an introduction and an overview of TMDD. No prior experience of the MonolixSuite nor population PK modeling of biologics is required. It will provide an overview of the characteristics of the PK of therapeutic proteins, introduce TMDD modeling concepts (equations, approximations, underlying assumptions), and discuss guidelines for the development of TMDD models. Hands-on lectures to explore the behavior of TMDD models, as well as to model step by step a TMDD PK data set, will be included. More information and registration here. Lixoft and Marion Bouillon-Pichault (invited speaker) are running a 1 day hands-on workshop on Longitudinal Model-based meta-analysis (MBMA) with the MonolixSuite on Monday the 10th of June. The workshop will alternate lectures and hands-on sessions. After an introduction to the goals, key concepts and mathematical representations of MBMA models, the setup of MBMA models in Monolix will be explained and exemplified using a longitudinal data set. In the afternoon, participants will have the opportunity to practice the development of MBMA models and their use to answer precise research questions using two real-life datasets (longitudinal and dose-response). No prior experience of the MonolixSuite is required. Temporary licenses of MonolixSuite will be provided. More information and registration here. Lixoft is running a 1 day hands-on workshop on advanced Monolix on Tuesday the 11th of June. The course is designed for modelers with already a good knowledge of Monolix, who wish i) to better understand the methods, the algorithms and their options, ii) learn how to implement complex models, iii) improve their strategy for model building. The course will consist of both lectures and hands-on sessions with Monolix. A dedicated Q&A hour session will be proposed. More information and registration here. Lixoft is running a 1 day hands-on workshop on Simulx on Monday the 10th of June. Simulx is a R application integrated in the MonolixSuite for advanced simulations. Simulx is part of the mlxR library. The course is then preferably intended for modellers who already have some basic knowledge of R (no need to be an expert!). The course will consist of both lectures and hands-on sessions with R and Monolix. More information and registration here. esqLABS is running a one-day hands-on PK-Sim® & MoBi® workshop on basic concepts in PBPK on Tuesday 11th of June at the United Spaces Waterfront in Stockholm, Sweden as a satellite meeting to PAGE 2019. The workshop covers age-dependent PK, population simulations and drug-drug-interactions (DDI) in PBPK modeling using PK-Sim for DMPK, pediatric and geriatric investigations by leveraging physiological and mechanistic knowledge for translational modeling in your drug R&D program. While the workshop does not require any prior experience with PK-Sim® & MoBi®, many topics will be of interest even for advanced users. Cost: 350 EUR (+tax) for industry, 250 EUR (+tax) for academia & non-profit and 150 EUR (+tax) for students. For more information and registration, please click here. 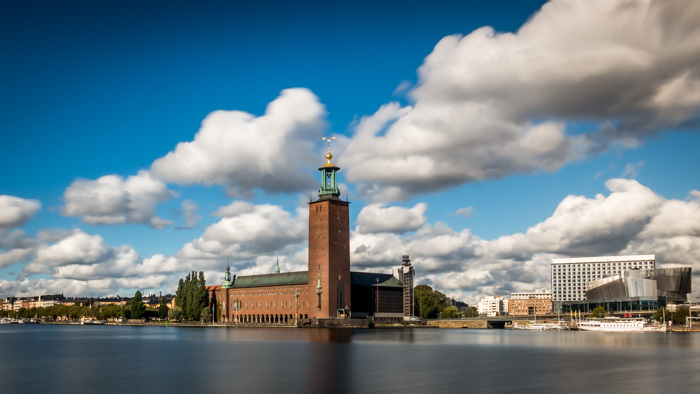 esqLABS is running a one-day hands-on PK-Sim® & MoBi® workshop on integrating PBPK with QSP for in-silico first-in-man PD predictions on Saturday 15th of June at the Freys Hotel in Stockholm, Sweden as a satellite meeting to PAGE 2019. The workshop covers concepts and application of combining PK-Sim, MoBi and R to build PBPK-based QSP platforms. While the workshop does not require any prior experience with PK-Sim® & MoBi®, many topics will be of interest even for advanced users. Cost: 350 EUR (+tax) for industry, 250 EUR (+tax) for academia & non-profit and 150 EUR (+tax) for students. For more information and registration, please click here. Certara University will present a workshop on Monday and Tuesday, 10 and 11 June on the use of the new upgraded Trial Simulator v2.3 (TS v2.3). The course will run over 2 days, Day 1 is suitable for beginner’s course and no prior experience with clinical trial simulations or Trial Simulator is required. A high-level understanding of nonlinear mixed effects models and clinical protocol conduct is desirable. Day 2 covers topics that are more advanced and will be of special value to you if you have prior experience in using clinical trial simulations in at least one real-life application, or if you judge yourself advanced enough to tackle and understand how to deal with practical challenges of real CTS applications. Pricing includes workshop material, coffee breaks, and lunch. Participants will receive a special free trial offer of TS v2.3. Cost: Two day pricing is $499 USD for Academic/Regulatory and $999 USD for Industry. One day pricing is $300 USD for Academic/Regulatory and $600 USD for Industry. For more information and registration, please click here. ICON will present a one-day NONMEM 7 course on Monday 10 June. Workshop attendees will be instructed on how to implement the FAST FOCEI algorithm (new in NONMEM 7.4), how to use Monte Carlo importance sampling, stochastic approximation E-M methods, and full Bayesian methods, both traditional Gibbs Bayesian and Hamiltonian no U-turn sampling (new in NONMEM 7.4). Parallel computing and dynamic memory allocation for efficient memory usage will also be described as well as additional new features of NONMEM 7.4. The features of PDx-POP 5.2, the graphical interface for NONMEM 7, will also be demonstrated. Cost will be $500 for industry, $250 for academia, and $100 for students. For details and registration contact Lisa Wilhelm-Lear @ Lisa.Wilhelm@iconplc.com. 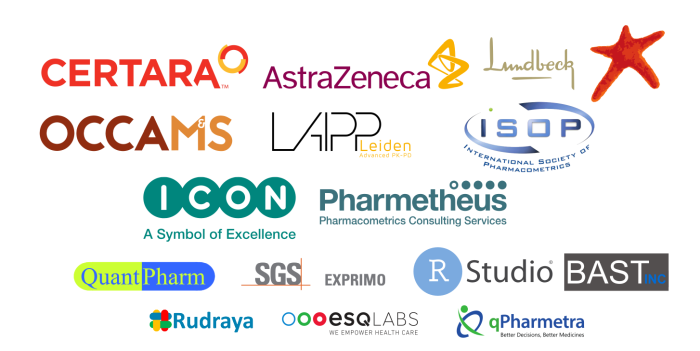 Pharmacodynamic Systems with Delays Research Group will present a one day workshop on Modeling Delays in Pharmacokinetics and Pharmacodynamics using NONMEM on Tuesday the 11th of June. The course will provide an overview of biological systems exhibiting delays, concepts of lifespan driven pharmacodynamic response, modeling of cell maturation, transduction delays, and nonlinear mixed effect lifespan models. Delay differential equations (DDEs) will be introduced and implemented in NONMEM pre-release version 7.5. The course will consist of both lectures and hands-on computer exercises. Source code for DDE based PK/PD models and data will be provided to the participants. For more information an registration, please click here. The nlmixr team will be running a one-day hands-on workshop on parameter estimation using the free and open-source R-based nonlinear mixed effect modelling platform nlmixr on Tuesday 11 June. The course will consist of a mixture of lectures and hands-on exercises. Contact nlmixr.info@gmail.com for further information, and visit this link for registration. Cost: 175 euro to cover the workshop room, lunch and coffee/tea. We have a limited number of reduced fee spaces available if you can argue a strong case. Metrum Research Group will present a half-day workshop entitled “Getting Started with Bayesian PKPD Modeling Using Stan: Practical use of Stan/Torsten and R for PKPD applications” on Friday 14 June, 13:30-17:30. After a brief review of Bayesian principles and computation, we will provide a guided hands-on experience in the use of Stan (http://mc-stan.org) for Bayesian PKPD modeling. Stan is a flexible open-source software tool for Bayesian data analysis using Hamiltonian Monte Carlo (HMC) simulation - a type of MCMC simulation. You will execute Bayesian data analysis examples using rstan, a R package interfacing R and Stan. Via the examples you will learn to implement nonlinear regression models, nonlinear mixed effects models and population PKPD models requiring numerical solution of ODEs (implemented in Torsten). We will discuss the pros and cons of Stan relative to other tools. Cost will be $300 for industry, $150 for academia/government and $75 for students. Click here for details and registration. Metrum Research Group will present a two day hands-on workshop entitled “Building Simulation-based applications using R shiny and mrgsolve” on Monday 10 June & Tuesday 11 June, 9:00-16:30 each day. After a brief review of simulation principles and planning strategies, we will provide a guided hands-on experience in the use of the R package mrgsolve (https://mrgsolve.github.io). mrgsolve is a free, open source, validated R package to facilitate simulation from hierarchical, ODE-based PK/PD and systems pharmacology models frequently employed in pharmaceutical research and development programs. You will code, execute, and summarize PK and PK/PD simulations using mrgsolve and R. On day two, we will introduce the shiny framework, building on the modeling techniques we’ve learned in day one to develop a number of dashboards and applications that allow the modeling results to be controlled and visualized through interactive user interfaces. Cost will be $1200 for industry, $600 for academia/government/non-profit and $300 for students. Click here for details and registration. RStudio will be presenting a free workshop on R for Drug Development on Monday morning 10 June 2019. This short course will provide a hands-on introduction to flexible and powerful tools for statistical analysis, reproducible research and interactive visualizations using Tidyverse, Shiny and R Markdown. No prior knowledge of R, RStudio or Shiny is needed. R content will utilize the PK/PD packages nlmixr and RxODE. Immunogenicity assessments and other drug development examples will be reviewed and generated for each topic. For more information and signing up please visit this site; while the course is free, the number of seats is very limited and so registration is essential. ATHENA RC is organizing a sunrise session on hot PK/PD topics, Tuesday 11 June (7.00 am-8.45 am). This sunrise session is intended for scientists working in academia, pharmaceutical industries, regulatory agencies, and contract research organizations with interest on hot PK/PD topics, which might not be covered by main stream talks of the main event. Click here for the details of the program-talks and here for registration. Kontur Konferens AB, the official conference organizer, has secured a variety of hotels for the PAGE meeting, which range from standard to more luxurious accommodations at preferential rates. An overview of the hotel accommodation options can be obtained here, and where maps, pictures and rates for the hotels can be found. Ample hotel rooms are available, all within walking distance of the conference venue, but we still kindly advise all the delegates to proceed with their bookings well in advance. Should you wish to book your hotel online, please use this link. A confirmation letter for your reservation will be sent automatically to your email account. Should you not receive a confirmation letter, please contact Kontur Konferens AB (page2019@konturkonferens.se). The name Stockholm comes from the words stock meaning "log" and holm meaning "islet". No one seems to know exactly how the town got its tag; one account claims that Vikings trying to determine the location of their new settlement used a log bound with gold, while others point to the masses of logs driven into the waters near Old Town. The first recorded use of the name "Stockholm" dates back to 1252 when it appeared in a letter written by Swedish statesman Birger Jarl. Stockholm’s 188 square km stretch over islands and hills, encompassing modern Scandinavian designs and cobblestone streets that look straight out of a fairy tale. Located where the Baltic Sea meets Lake Mälaren, Sweden's waterfront capital has as little as six hours of daylight in the winters and as much as 18 hours of sun in the summers. Stockholm was built on 14 islands, connected by 57 bridges, earning the Swedish capital the nickname "Beauty on the Water". Stockholm’s Old Town, or Gamla Stan, remains one of the best-preserved historic districts in Europe—partially due to the fact that its cobblestone streets are reserved for pedestrians only. The narrowest street in Old Town is Mårten Trotzigs alley, which has 36 steps and is a mere 89 cm wide at its slimmest point! In 1628, the great Vasa warship, which took three years to build, sunk in the Stockholm harbour after sailing barely 1300 meters. It took a whopping 333 years to salvage the remains. Today the iconic ship stands in its own equally striking 12540-square-meters museum, which features 55 outer wall corners (https://www.vasamuseet.se/en). Built in 1891, Stockholm’s Djurgården island is home to Skansen, the world’s first open-air museum. The 150 buildings are a journey through 500 years of Sweden’s history, and include Skåne farmsteads and Sami camps (http://www.skansen.se/en/this-is-skansen ). From Stockholm (Arlanda) airport: 20 min by train. The hotels available for the 2019 PAGE meeting are all within walking distance of the conference location but you may need to use local transport for exploring the city before or after the meeting. Stockholm Public Transport, SL, is responsible for buses, underground trains, commuter trains, trams and certain ferry lines in Greater Stockholm. The underground is the easiest way to get around town. Tickets can be purchased at SL Centers, underground ticket booths, newsagent kiosks, via SMS or via the SL app (Android/Apple). It's not possible to pay cash for tickets on board buses in Stockholm. Failure to show on demand a valid ticket during a control will result in a penalty fee of 1200 SEK. A single ticket is valid for 75 minutes and costs 44 SEK (31 SEK if you use a prepaid SL Card instead). It's also possible to buy 24 hours, 72 hours and 30-day tickets. Stockholmers are always heedful of their beautiful surroundings, and this has led to many inner-city buses running on eco-friendly fuels such as ethanol. The Stockholm underground is also known as the worlds’ longest art gallery as so many of its stations are adorned with the works of different artists. Taxi prices are not regulated in Sweden; they may vary greatly. It is the customer’s responsibility to check prices beforehand. For trips to and from Stockholm Arlanda Airport, the major taxi companies have fixed prices of between SEK 450-500. Always ask the driver beforehand. In addition to the major taxi companies, there are several independent firms; caution is advised. Sweden is in the Central European Time Zone. In the summer months clocks are set at GMT + 2 hours. June is one of the warmest months, the abundance of sunshine helping to keep things warm. The average temperature is 16°C and June afternoons can heat up to 21°C on average. It could rain…. Check the weather forecast for Stockholm here. The official national currency is the Swedish Krona (SEK). All major credit cards are accepted in Sweden. The major stations and banks provide automatic currency dispensers that operate 24/7. Service is included in all restaurants and shops. Tips are optional at the customer’s discretion. In Sweden the standard voltage is 230 V and the frequency is 50 Hz. You can use your electric appliances in Sweden, if the standard voltage in your country is in between 220 - 240 V as manufacturers take these small deviations into account. Electrical plugs in Sweden are the Europlug (Type C & F), with two round prongs. Major stores and specialist shops are open Monday to Saturday from 10:00 to 18:00 or even later. Many shops are also open on Sundays from 12:00.